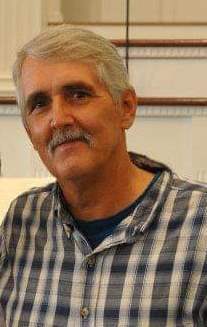 Lester Lee Pollard, Jr., 62, passed away Thursday, January 17, 2019. A memorial service will be held on Saturday, January 19, 2019 at 2:00pm at First Baptist Church with the Reverend Lamont Hemminger officiating. Lee was a heavy equipment operator for many years. His greatest passion was a bulldozer, whether it was tinkering with one or operating them. He also enjoyed fishing, gardening, anything just to be outdoors. He especially loved spending time with his family, friends, and his dogs. He never met a stranger and would try to help anyone in need. Lee will be missed by all who knew and loved him. Lee was preceded in death by his parents, Lester and Doris Pollard. He is survived by his loving family which includes his wife, Dee B. Pollard, daughter, Summer P. Andrews and her husband, Justin; sons, Cameron Pollard and his wife, Brittany, Dan Pollard; grandchildren, Dawson, Levi, Nova Andrews, Lily, Makinlee, Christian, Colby, Kateland, Autumn Pollard, Brandon Bell, Nick and Jonathan Brantley; step-daughter, Sarah Baker and husband Ray; grandson, Ethan Baker; sisters, Mary Virginia Glidewell and her husband, Terry, Doris Ann Williams and her husband, David, and Judy McCall. The family will receive friends at Carlisle Funeral Home Friday, January 18, 2019 from 6:00 – 8:00pm.